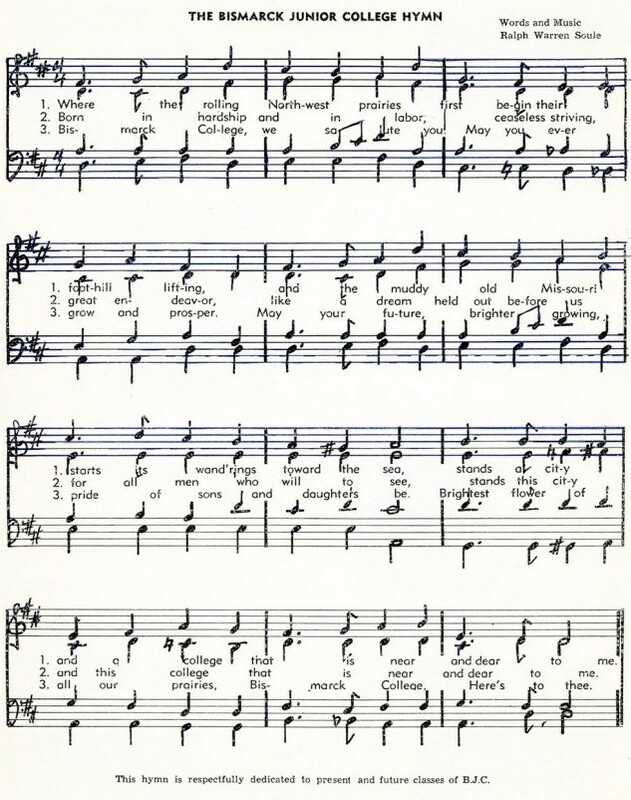 The Bismarck Junior College Hymn, published in the 1941 Markota Yearbook, was written by Ralph Warren Soule. Clyde Bauman, BSC alum ('72) and BSC Alumni Association former board of directors member, coordinated a choir of BJC/BSC alumni and community members to record this song. Listen and sing along to the 1941 Bismarck Junior College Hymn. Special thank you to the choir members.